KUALA LUMPYR, 1 October 2018: ACE Market-listed company, PUC Berhad (“PUC”) has officially unveiled its highly anticipated mobile wallet function – Presto Wallet, which is now accessible within Presto, a revolutionary home-grown social marketing app operated by PUC that offers a unique and rewarding shopping experience with cashback for Malaysians. Group Managing Director and Chief Executive Officer of PUC, CHEONG Chia Chou shares that by offering Presto Wallet as a component within Presto’s ecosystem, the company is a step closer to becoming one of the leading digital lifestyle service providers in Malaysia. Presto Wallet also has “Send Money” and “Lucky Money” services, whereby Malaysian consumers can enjoy the convenience of sending and receiving money among family and friends, or a group without any service charge, which is far safer than walking around with cash and credit cards in their pockets. 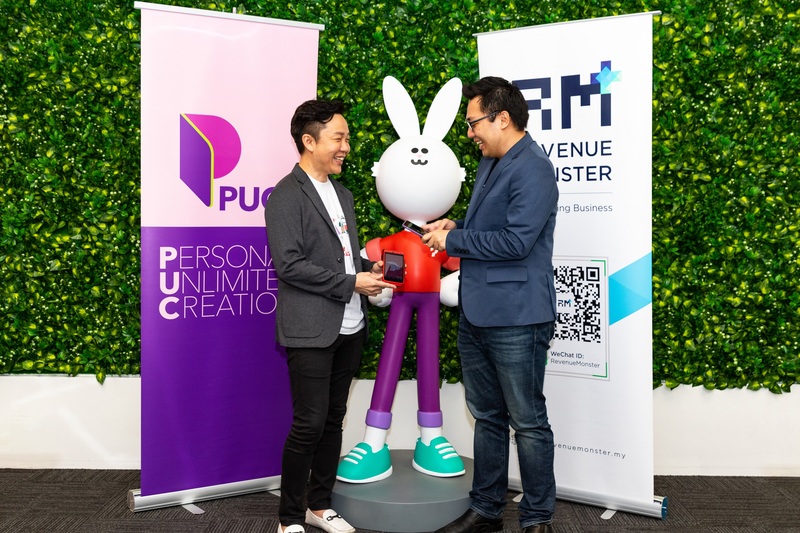 In conjunction with the launch, Revenue Monster Sdn Bhd (“RMSB”) has been officially appointed as Presto’s official third-party merchant acquirer to facilitate its eWallet transactions as well as allowing Presto to tap into RMSB’s existing merchant base covering hypermarket and convenient stores, petrol stations and many more retail outlets. “This is a strategic decision as RMSB’s mobile payment terminals are on lease from a subsidiary of PUC, whereby not only will we be able to receive a portion of the transaction fee for every eWallet payment performed using these terminals through a revenue share partnership with RMSB, we will also be able to configure Presto Wallet into RMSB’s existing terminals – that are now being used to facilitate WeChat Pay transactions in Malaysia– to achieve greater market adoption,” Cheong highlights. “We are thrilled to facilitate Presto transactions in Malaysia and we hope to encourage more people to select eWallet as their payment option, while enjoying a better shopping experience,” Lim says. Presto Wallet is also expected to be integrated onto 11street, an online marketplace with more than 13 million product listings from 45,000 sellers. Through this collaboration, Presto Wallet will be able to reach out to a large base of 11street’s existing merchants and customers, enabling online purchases to be transacted using mobile wallet. “While homegrown, we envision to be a world class digital lifestyle services provider in the future and with Presto’s ecosystem, we can join hands together with industry players and the authorities to make Malaysia one of the leading digital hubs in Asia and also a digital gateway for the world to venture in Asia and Malaysia,” Cheong ends.